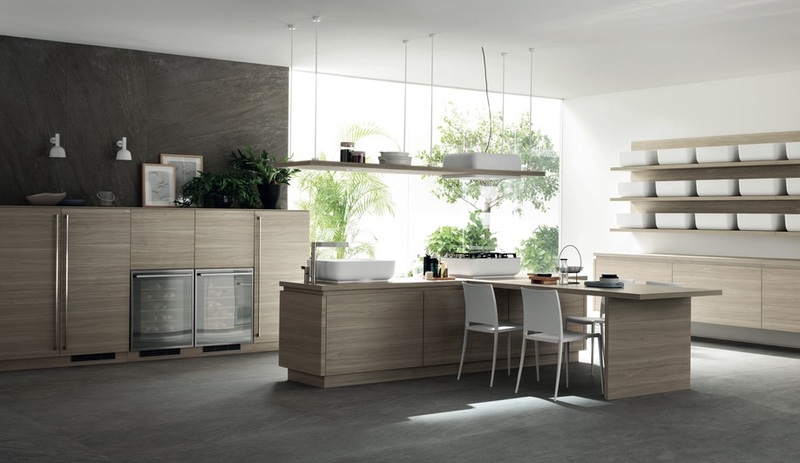 From April 12 to 17, EuroCucina brings the latest in kitchens to Milan – including cabinet systems, appliances, hardware and more. 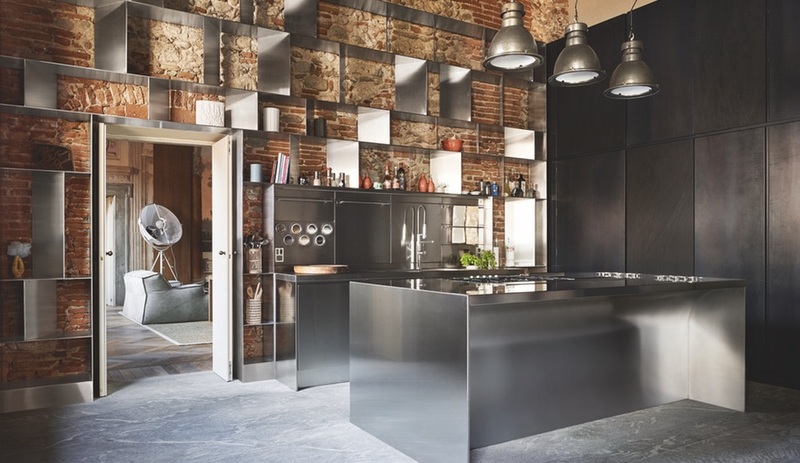 Here are five new kitchens launching at EuroCucina that we’ll be watching. Stay tuned in April for our on-the-ground coverage. 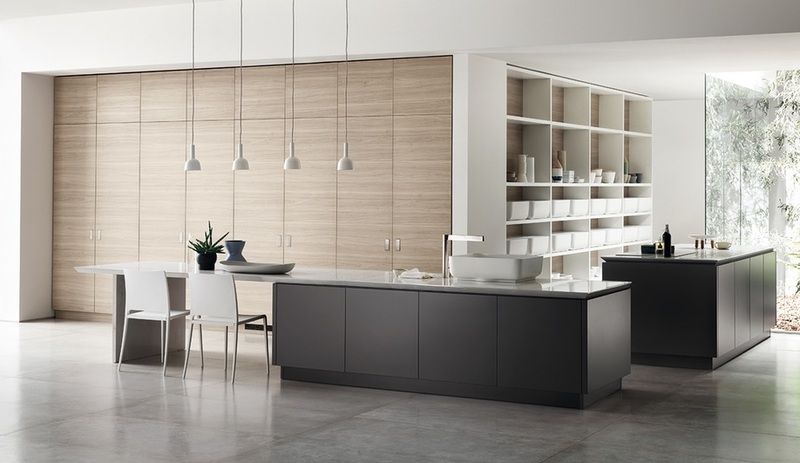 This year’s new kitchens are all about sleek surfaces and rectangular forms – whether in stainless steel or, like Scavolini’s Ki, offered in uniform laminate and accented with wooden shelves. Designed by Nendo’s Oki Sato, Ki consists of modules for bathrooms as well, tying together different sections of the house; in both categories, Ki uses white bowls to hide the many objects that can clutter shelves. 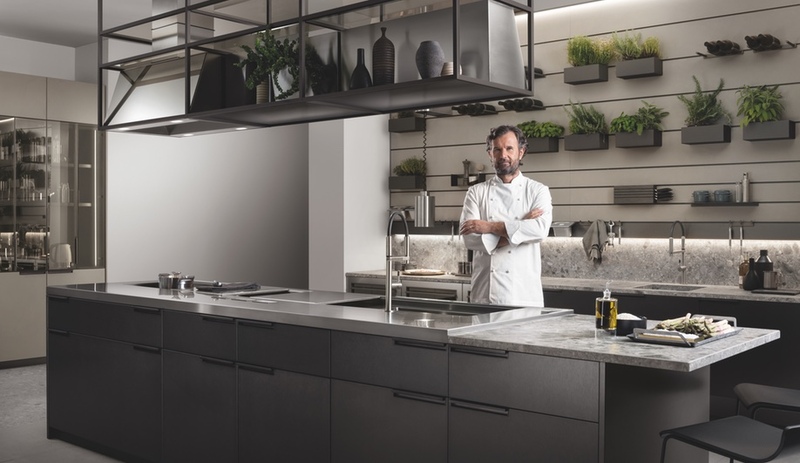 Designed in collaboration with commercial kitchen specialists Prisma, Atelier comes in two models – Chelsea and Bagutta – both in stainless steel with square doors. Different cooktops are available, but all versions feature Abimis’s rounded internal spaces, which makes cleaning seams and corners easier. 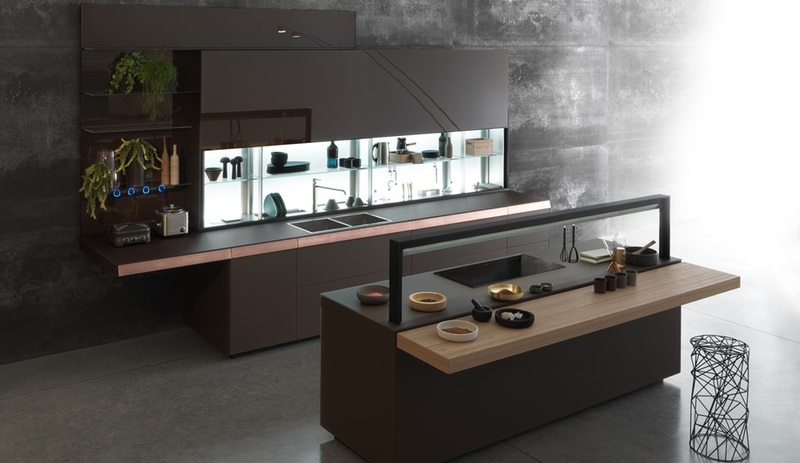 Valcucine’s semi-professional Genius Loci system gets an update with the addition of V-Motion and V-Assistant, two kits that bring to the kitchen touch-activated access to information and a helper for everyday tasks. 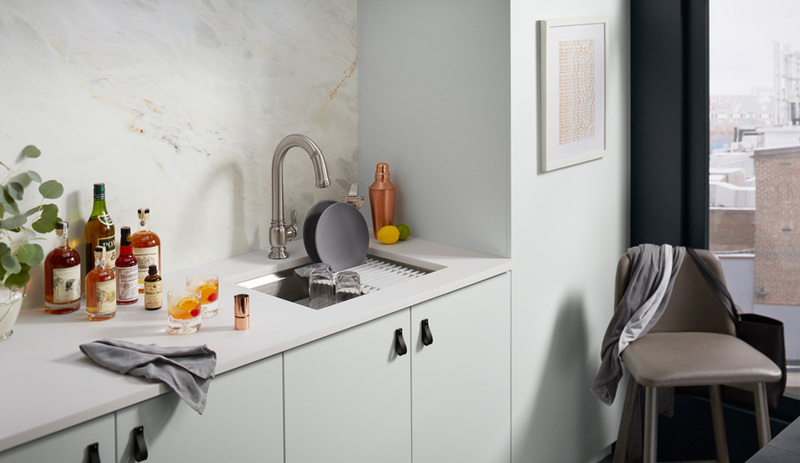 Genius Loci also gets new finish options, included an expanded range of glass, as well as tactile wood surfaces. 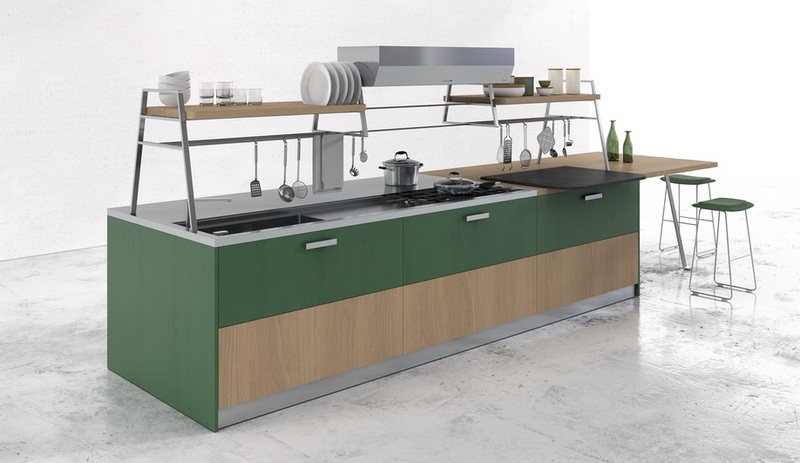 Designed by Del Tongo art director Alfonso Arosio and kitchen design powerhouse Giulio Cappellini, KS seeks a balance between the coziness and familiarity of a family kitchen and the performance and openness required of a space that inevitably becomes the hub of the home. 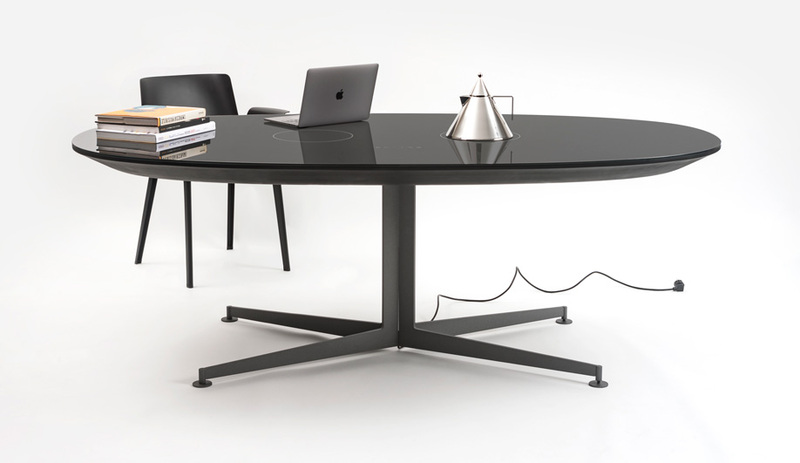 KS is offered in three different configurations that emphasize different aspects of the table and work zone elements. 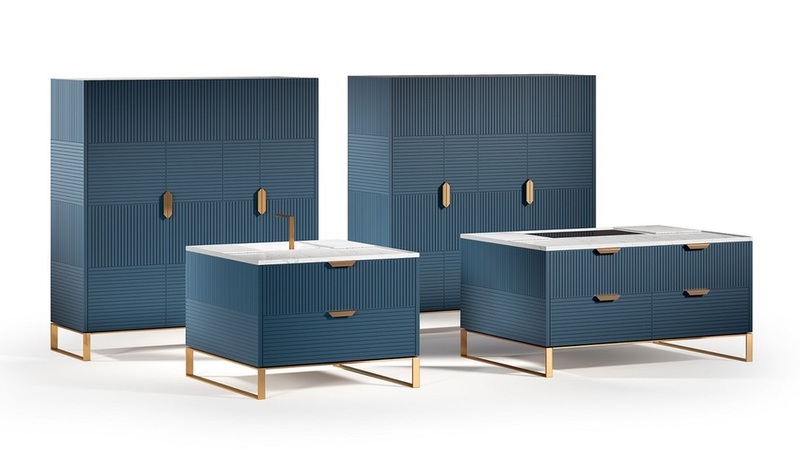 You could be forgiven for thinking Miuccia – with its patterned midnight blue cabinets, metal sled-like legs and rose gold hardware – is a bedroom suite. 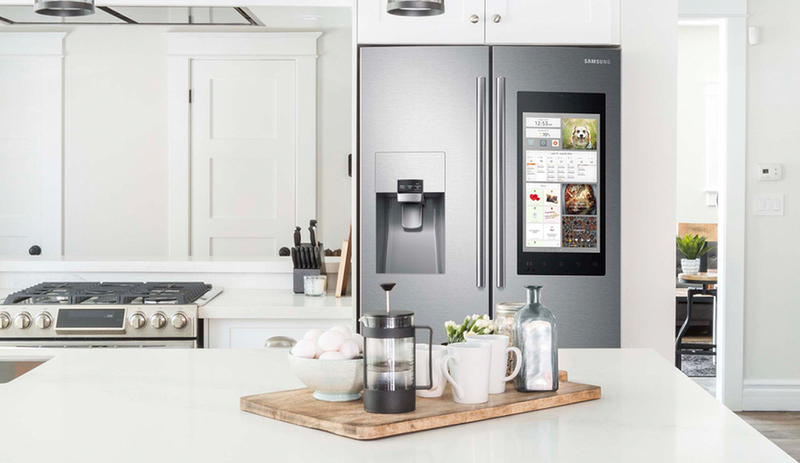 But make no mistake: those are a cooktop and recessed sink in the marble countertops; and hidden in the cabinets are a dishwasher, oven, refrigerator and freezer – not to mention space for dishes and a food pantry.